Blouse-SUPER!!!! Seller, GREAT!!!!! Store recommend!! 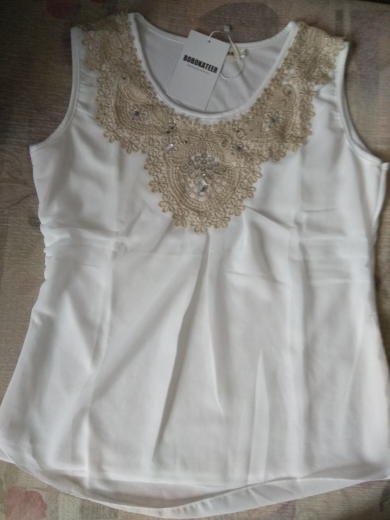 Blouse with a description, looks beautiful. Wash flew off a few rhinestones. The 44 ordered size XL, size fit. Delivery about 2 weeks.